Murray Downs offers a wide variety of facilities and activities from 18-hole golf course, fully stocked pro shop, 3 flood lit bowls greens, bistro, café, special events, functions, dancing, poker, live music, Foxtel on the big screen, bi weekly Members Draws and raffles and much more. The Club is open 365 days per year from 10am until late daily (operating hours vary Christmas Day) and offers a nightly free courtesy bus service in the city limits. Our bistro is open every day for lunch and dinner, whilst our café is open from 10am every day for a lighter option. A fully supervised children’s room operates every night and lunch time on weekends with children aged 4 – 17 years as well as an outdoor playground facility. 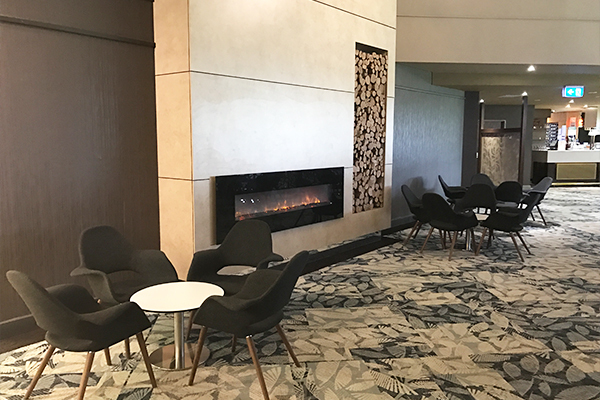 The Club has facilities to hold a range of functions and special events from corporate golf days, special events such as Melbourne Cup day, birthdays, kid’s parties, large bowls tournaments, work functions, Christmas parties and much more. Murray Downs Golf and Country Club Limited operate 3 businesses in Swan Hill; Murray Downs Golf & Country Club, Swan Hill Club and Spoons Riverside. Spoons Riverside and Swan Hill Club operate in Victoria, whilst Murray Downs Golf and Country Club operates over the bridge in NSW at Murray Downs.There are over 170 employees across the three venues in Swan Hill in a large range of roles including baristas, chefs, gift shop staff, to gaming managers, maintenance, Pro Shop staff, greens keepers, bus drivers, finance, kids room staff and much more.